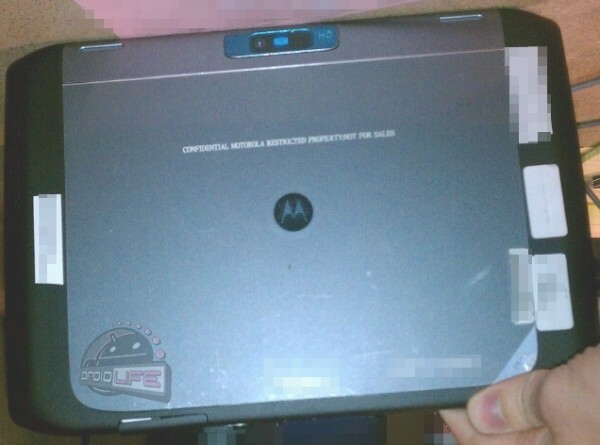 The successor to the Motorola Xoom may not be too far off if these latest photo leaks prove to be true. 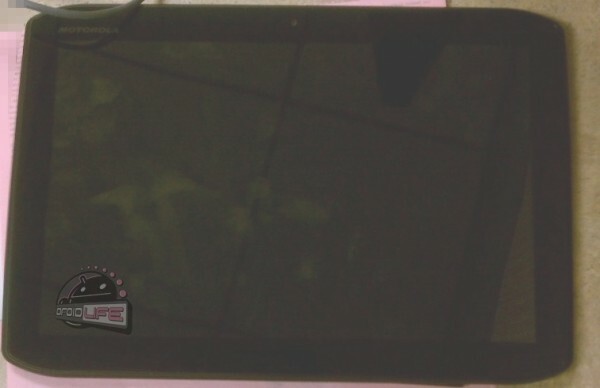 Droid-Life.com has apparently gotten hold of pictures of a tablet claimed to be the Xoom 2. From the front, the source deduces a 10.1-inch screen, the same screen size as the original Xoom. The snapshot of the backside reveals an HD camera, but whether it is an upgrade form the original remains unknown. Otherwise, the tablet is rumored to include at least an HDMI port, microUSB and a SIM slot for connectivity through at least one major carrier. The hardware specifications of the tablet are still a mystery, as well as its software and release date. The device could be ultra high-end with a quad-core Nvidia Kal-El processor and Ice Cream Sandwich for all we know, or it could just be a minimal upgrade from the Xoom. We expect official details to be revealed in the not too distant future, that is, if we assume the tablet is slated for an early 2012 release. Update: Tech blog site ThisIsMyNext reported on the matter this afternoon, and claimed additional info on the Xoom 2. According to its sources, the new tablet will be a more marginal update to the original, with an unspecified 1.2GHz CPU, an equal amount of RAM (1GB), IR blaster, 1080p video support and a battery life on par with the first Xoom. On the software side, the tablet is said to support Netflix HD streaming and even Adobe Flash 11. A wireless sync to nearby PCs could be in the works as well. These rumored features are quite multimedia-centric, so the Xoom 2 may be aiming for a place in home entertainment systems upon release.